I think she’s better of looking healthy than she was in the past. We used to be neighbours in Mende Maryland and I visit her salon regularly, so the Ngozi I’ve seen now is looking way better and gorgeous than Ngozi I know 15 years ago. I don’t see weight loss as just loosing weight, I see it as a way of taking control of your eating habit and living a healthy life style. The day I’ll show you guys my pic when I was really big, your jaw will literally drop….lol. 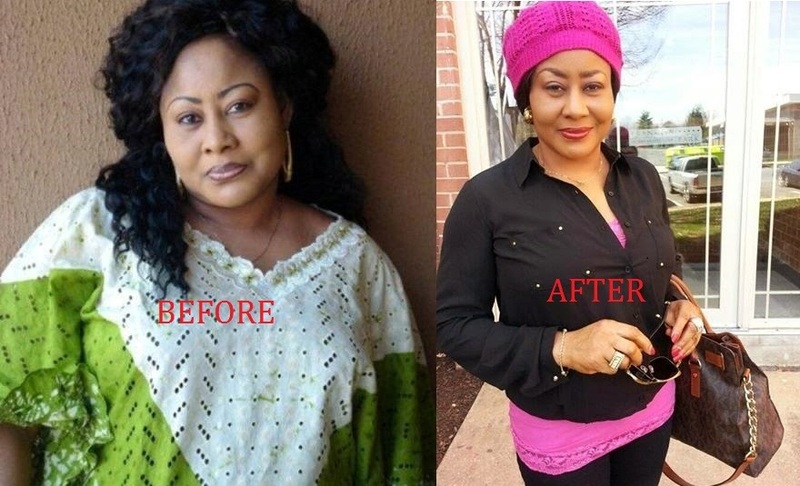 This entry was posted in Entertainment, Fashion trends and tagged Nollywood Legend Ngozi Ezeonu Still Enjoying Her New Slim Body.